These presentation slides 42585 are complete compatible with Google Slides. Simple download PPTX and open the template in Google Slides. 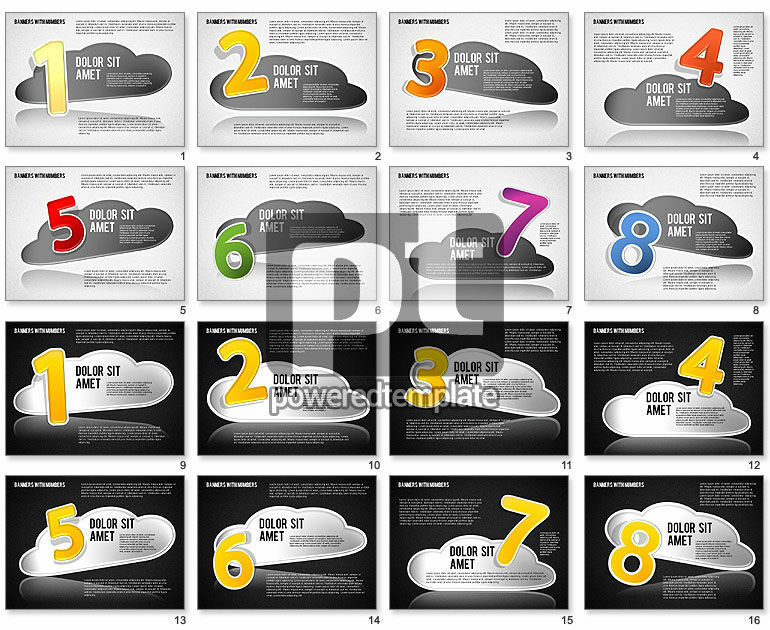 Don’t miss a chance to use this cool template dedicated to business presentations. It is created to suit various needs with two variants of the background, different colorful numbers on the clouds and areas for your specific content; the whole appearance is modern and stylish, so your audience will surely love it. Use this vivid theme for presentations on sales, success, marketing strategies, etc.